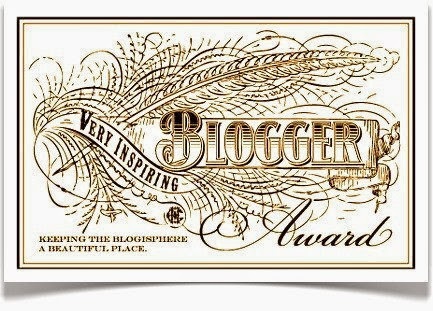 Thanks so much to Heather Jackson and Robin Rivera (The Writeon Sisters) for nominating me for the Very Inspiring Blogger Award! Not so long ago when blog awards were a dime a dozen and they were being passed out like towelettes at a bar-b-Que eating contest, I kind of backed away from the whole thing. Of course I always gratefully thank the person(s) who honor me, but I rarely pass them along. 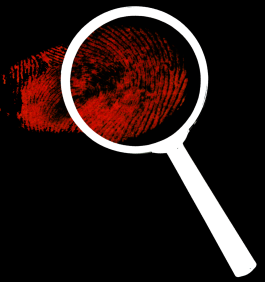 Today I'm making an exception because the WriteOn Sisters selected me primarily because of my work with the Blog BLITZ, and I'm always up to mention that. This is going to be tough...coming up with seven things I haven't talked about before...but here goes nothing. Although I was always making things up in my head and acting them out, the first story I ever wrote down on paper was in 10th grade. My teacher thought it was so good she accused me of copying from somewhere. Also in high school, I wrote for the school paper and my most popular (and controversial) piece was entitled THE ART OF SKIPPING. In my wallet I carry around each of my children's first tooth. I think of it as having a piece of their smile in my pocket. I once spent $50 to win a girl a cheap stuffed bear at a county fair. This is my 600th post on my blog. Most of my best writing idea's happen when I'm either in the shower...or a hot tub. I consider the BLOG BLITZ to be the most influential thing I've ever done here in the blogosphere. Lifting someones spirits...if even for a short time...is definitely addicting. Those fair games are anything but fair. I always tell my wife I'll just go buy her one at half the cost. Wonderful list of seven, DL! Congratulations on the award, the 600th!!! (WOW! 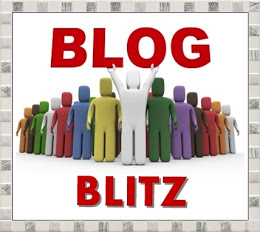 ), AND the creation of the Blog Bltiz. I would also put WRiTE Club up there, too. It's also an awesome event! Congrats on the award and the 600 posts! Wow, THE ART OF SKIPPING - I never would have had the guts to publish something like that! Probably because I lived in a small town and we didn't have a high school paper, just a local paper that my parents read religiously. So to avoid being grounded, I covered riveting news such as who was in town visiting for the Maple Syrup Festival and Ontario Hydro cutting down a tree down on main street that was interfering with the wires (that got the front page, no word of a lie). I couldn't think of two better blogs to be given this award than you and Alex. :) Congratulations on your 600th post! $50 for a stuffed bear?! What a romantic! Congrats on the award and the milestone!